Sense&Sensibility 1995. Marianner and Wiloughby. 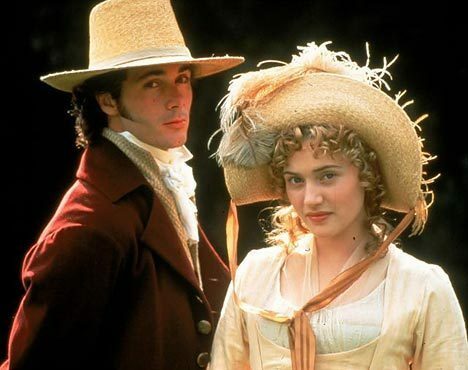 Wallpaper and background images in the Sense and Sensibility club tagged: sense and sensibility jane austen 1995 movie. This Sense and Sensibility photo contains 船工, 里窝那, 巴拿马帽子, 水手, 撇油器, 草帽, 船头, leghorn, 巴拿马, 巴拿马草帽, 撇乳器, 撇渣器, 发动机罩, 发动机罩捅, 阀盖, and 戳盖. There might also be 软呢帽, 毡帽, 斯泰森, fedora, homburg, trilby, 洪堡, 斯泰森帽, 髓帽子, 头盔髓, 太阳帽, topee, 托皮, 披肩帽子, 披肩头盔, 太阳头盔, topi, 髓帽, 试纸, 遮阳帽, 波兰舞曲, and 波兰语.